With growing concerns relating to environmental protection and better waste management, there has been a considerable surge in the demand for commercial and residential Environmental Management Services. If you offer products, solutions or services that support the cause, Blue Mail Media’s Environmental Services Mailing List will efficiently connect you with associated stakeholders. Our Environmental Management Service Providers Email database has been designed to help you effectively run your multi-channel marketing campaigns by giving you access to all information that you may need to connect with your target audience via telephone, email or mail. Our team of data specialists put immense efforts in the collection, verification, and update of the data to make sure our data remains highly reliable at all times. Blue Mail Media has been a known brand in the data marketing industry. We have been able to establish a strong network of data partners spread across geographies such as the US, UK, Canada, North America, Europe, Africa, Russia, China, India, Australia, New Zealand amongst others. This enables us to help clients going beyond geographical barriers. 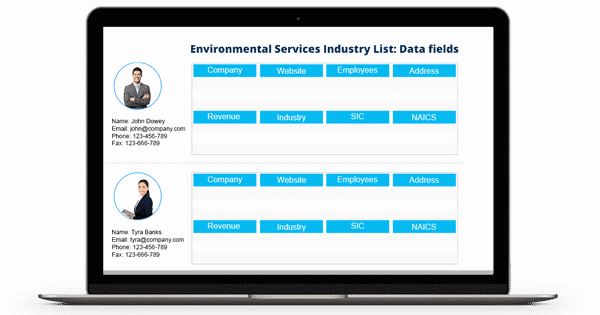 We also give enough flexibility to our clients as we give them the option to either choose from our Environmental Services Email Database or opt for a customized list based on their marketing specific parameters. Blue Mail Media gives you enough flexibility to either choose from our pre-packaged Environmental Services Industry Mailing List or get a customized list created as per your campaign specific requirements. With our data, you are sure to realize greater response rate, conversions and a healthy ROI.